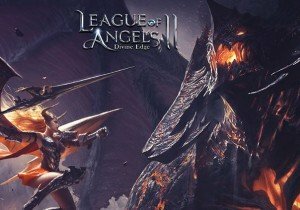 League of Angels II is going to be celebrating the coming Easter Day with all of their players from March 28th through April 1st. Players can start their new legends on Sapphire and put on some Magic Rabbit Ears during the Easter season. New festival suits, outfit skills, and Soul Arms are coming to all players. The whole Easter Outfit is an Artifact suit that includes two parts – Outfit and Wings. Players can either collect one part to activate the normal skill or both to unlock the whole skill set, which includes the normal and the ultimate skills. The normal skill named Egg Shot deals 307% plus 11440 DMG to the enemy’s back row, reduces DEF by 25% and receives additional Healing effect by 40%, while the ultimate skill Egg Hunt deals 383%+14300 DMG to the enemy’s back row with a 75% chance to stun targets for 1 turn (both effects ignore immunities).